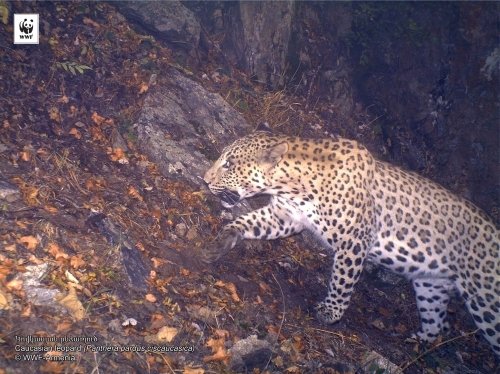 In the frameworks of Caucasian Leopard Conservation Project, WWF-Armenia launches Leopard Caretakers Network Project which aims to unite the society, international organizations, private and public sectors to strengthen conservation mechanisms of leopard and its prey species (Bezoar Goat, Armenian Mouflon, Roe Deer, etc.). For this purpose, WWF has already chosen environmentalists from the leopard habitat adjacent communities who will carry out intensive monitoring and field surveys in this habitat to increase the security level of animals. All the caretakers have passed special trainings and practical workshops, as well as received all the necessary equipment for the fieldwork. Educational activities have been also launched to present to the public the importance of leopard existence for Armenian wildlife, as well as its major threats. Caucasian leopard was registered in the first Red Book of Soviet Armenia in 1987. There were almost no signs of leopard presence in Armenia in 2000. 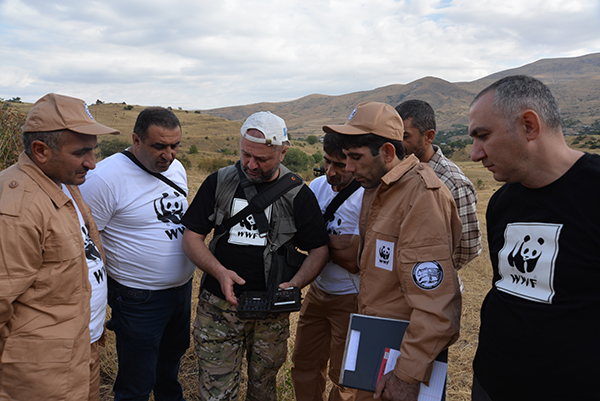 Since 2002, WWF has been implementing a conservation project on this species in Armenia, thanks to which the animal not only returned to Armenia but also registered a positive trend. 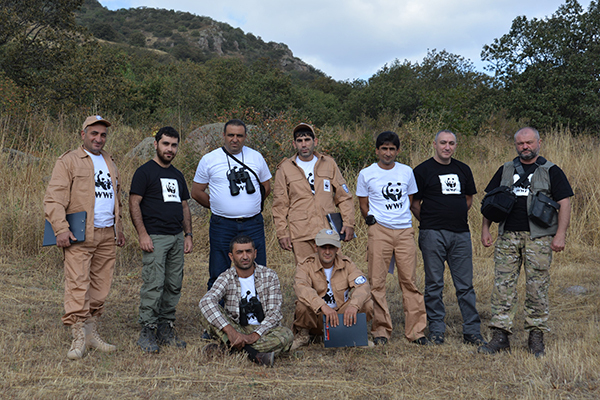 As Arsen Gasparyan, the coordinator of WWF’s Leopard Conservation Project in Armenia, mentioned: “The next stage of the project includes cooperation agreements with educational institutions, the private sector and international organizations. Thanks to this we can unite our efforts in saving the species. Also, there will be different competitions and exhibitions aiming to raise the public awareness. Leopard is one of the symbols of Armenia and its national power; it shows up in ancient stone carvings, stories and paintings. It symbolizes wisdom and the ability to survive in very difficult circumstances. And if we consider that Leopard is the King of Armenian biodiversity, it means by saving Leopard we are saving the Kingdom –amazingly beautiful Armenian nature”.